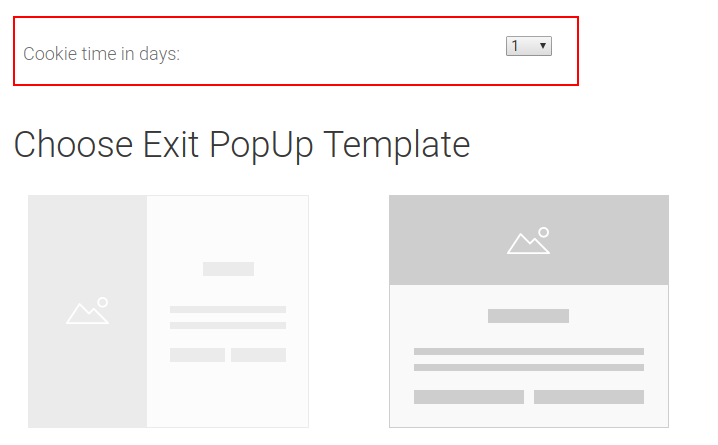 When we will not show PopUp again to the same customer? Edrone is a system for collecting and analyzing customer behaviour. Collected data and out-of-the-box engagement scenarios allow the system to increase customer retention. Site/Shop/Retailer/Company - e-commerce site that is integrated with edrone SaaS (e.g. online shoes shop). Integration - process of setting up retailer's site to work with edrone. This includes registering an account, installing module and/or making server side changes on retailer's site, etc. Custom Integration - integration that does not take advantage of available modules for e-commerce sites. It is typically required when the e-commerce platform does not offer sufficient extensibility mechanism (e.g. rendering custom JS scripts, access to data, etc.) or it is a custom-built store. Module - package provided by edrone. It allow easy integration between e-commerce platform and edrone system. We provide modules for most of popular e-commerce platforms e.g. Magento, Prestashop, IAI, Shoplo, Shoper, Woocommerce, Shopify, Opencart etc. Tracker - individual account in the edrone system. Onboarding - process of helping newly integrated shop owner to configure his account, design engagements, etc. Mission Control - (https://control.edrone.me) administration panel for shop owners. It allows to manage Engagements, view reports, etc. Customer - person who uses retailer services and has email address. Data generated by customers (visits, orders etc.) are collected and analyzed by edrone. Agent - user that manages edrone Account. More than one agent can be associated with an account (i.e. Tracker). Engagement - a process of encouraging somebody to return to the retailer site. It is typically a workflow consisting of multiple steps that has trigger conditions associated with them, e.g. RESTORE CUSTOMERS, RECOVER ABANDONED CARTS, etc. Coupon - a code that allows user to obtain a discount. It is generated by retailer and uploaded to edrone. Coupons are included in the message and redeemed at retailer's site. Static coupons - identical code is sent to all customers. The code is set in Mission Control. Dynamic coupons - each customer receives unique code. Codes are generated by e-commerce platform and uploaded to edrone via Mission Control. HTML editor - visual editor for creating HTML code directly. Every email created in Dragâ€™nâ€™Drop editor can be edited in HTML editor. However, you cannot return to editing it in Dragâ€™nâ€™Drop editor after direct HTML modification. Dynamic Placeholder - an element that can be added to email design. When email is sent to a specific Customer the placeholder is replaced with personalized image, text etc. Spender - customer who made at least one order. One-Time Spender - *spender8 who made exactly one order. Repeat Spender - spender who made more than one order. Inactive Customer - customer who has not visited the site for a specified period of time. No Risk Inactive Customer - customer who has not visited the site [0, 7) days. Low Risk Inactive Customer - customer who has not visited the site [7,30) days. Low Spender Threshold - it is calculated so that the Low Spenders segment holds 80% of customers with the lowest total purchase value. Mathematically, it is the 80th percentile of spenders value. Separates Low Spenders from Medium Spenders. Big Spender Threshold - it is calculated so that the Big Spenders segment holds 1% of customers with the highest total purchase value. Mathematically, it is the 99th percentile of spenders value. Separates Medium Spenders from Big Spenders. Low Spender - spender whose value obtained by edrone algorithm is equal to or less than value of Low Spender Threshold. Typically Low Spenders group has many members. Big Spender - spender whose value obtained by edrone algorithm is greater than Big Spender Threshold. Typically Big Spenders group has few members. Medium Spender - spender whose value is between Low Spender and Medium Spender. Frequent Spender - spender who is in top 25% who made the highest number of orders (order value is not considered here). Trend Setter - customer who is active on Social Media. Prospect - customer who has not made any order, yet (i.e. he is not a Spender). Double Opt-In - process of obtaining e-mail subscription consent. Upon entering email address recipient is sent an email containing unique subscription confirmation link. When the link is clicked the email address is marked as subscribed. This process can be implemented by the shop itself or by edrone using NEWSLETTER SUBSCRIPTION Engagement. We use three methods of identifying visitors. Field: "email" - if email field is passed in the event we use it as unique identifier of the customer. It applies to events originating from browser as well as server-side. Field: "c_id" - this is a unique identifier generated by edrone JS script. It is stored in the browser local storage and passed in the event. If available we store mapping "c_id"-"email" so that we can uniquely identify customer based on "c_id" only in future events. It applies to events originating from browser only. Cookie: "ccid" - this is a Third Party Cookie (Domain: "edrone.me") set by our system. It is automatically generated in response to the event set. If available we store mapping "ccid"-"email" so that we can uniquely identify customer based on "ccid" only in future events. It applies to events originating from browser only. When system receives an event it evaluates what identifying information has been provided, existing mappings stored and makes an identity decision. _edrone.init() - Function that is used to send data to edrone. It is automatically initialized after event "window.onload". Fields with multiple values Certain event types may require multiple values in the trace field. For example when an order event occurs the customer might have purchased multiple items. A single product may belong to multiple categories (product_category_ids I product_category_names). In such case each category should be separated by ~ character. It is critical that e-commerce platform DOES NOT cache pages containing this data as it may inadvertently publicly show personal data belonging to other user. Please make sure configuration of your caching mechanisms (full page caching, Varnish, etc.) takes into account the above. Tags are used to associate additional information about a customer. This information may be later used in engagements. Choose from 4 different opt-in types in edrone panel. edrone double opt-in Double Opt-In provided by edrone. non edrone double opt-in Double Opt-In provided by some other system or store. single opt-in with message Single Opt-In with welcome message. single opt-in Single Opt-In without welcome message. Subscription - Use the subscribe action to send the information about customer subscription. You can find customer subscription status reason in edrone panel on customer page. 1 CUSTOMER_UNSUBSCRIBED Customer requested to be UNSUBSCRIBED by clicking on the "unsubscribe" link. 2 HARD_BOUNCED_UNSUBSCRIBED Recipient server returned SMTP code that was classified as HARD_BOUNCE, i.e. delivery to the target mailbox is permanently not possible. Typically happens when email address no longer exists or some other uncrecoverable error occurs. As a result customer is UNSUBSCRIBED. 3 CUSTOMER_SPAM_COMPLAINT_UNSUBSCRIBED Customer issued a spam complaint for the message. 4 AGENT_UNSUBSCRIBED Agent manually set the status (using Mission Control) to UNSUBSCRIBED. 5 EMAIL_INCORRECT_UNSUBSCRIBED Email address is incorrectly formatted and was UNSUBSCRIBED. 6 TRACE_UNSUBSCRIBED Trace which we received for the customer indicates the customer UNSUBSCRIBED. 7 DATA_IMPORT_UNSUBSCRIBED Customer was imported via CSV import and the value is UNSUBSCRIBED. 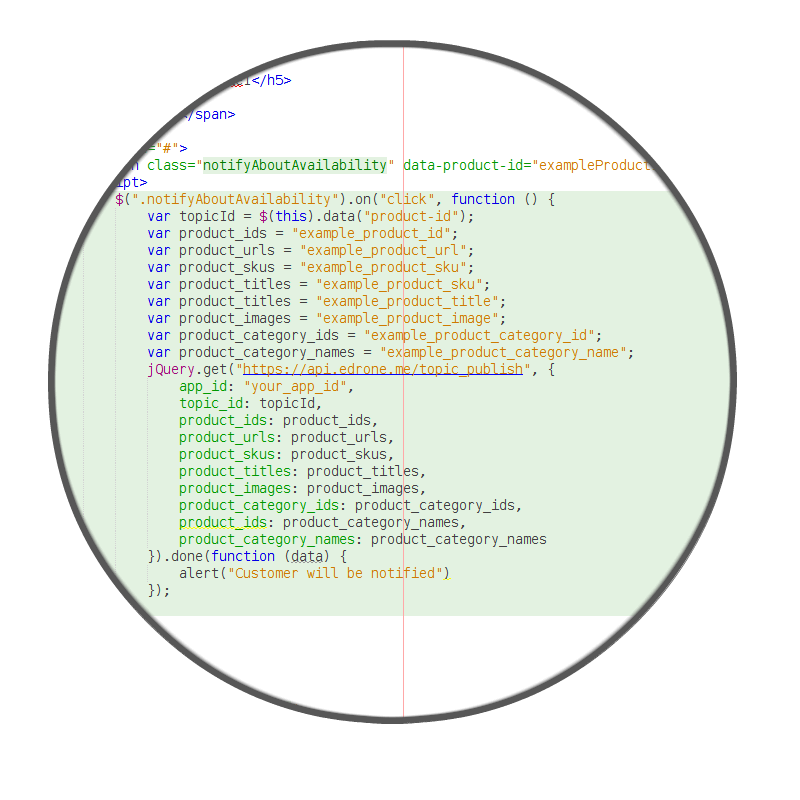 8 EXTERNAL_API_UNSUBSCRIBED Customer data received from External API (e.g. IAI API) indicates customer is UNSUBSCRIBED. 9 SPAM_BOUNCED_UNSUBSCRIBED Message for customer got rejected by the ESP with indication that it is spam. Customer was subsequently UNSUBSCRIBED. 10 TRACE_SUBSCRIBED Trace we received for the customer indicates the customer is SUBSCRIBED. 11 AGENT_SUBSCRIBED Agent manually set the status (using Mission Control) to SUBSCRIBED. 12 DATA_IMPORT_SUBSCRIBED Customer was imported via CSV import and the value is SUBSCRIBED. 13 TRACE_UNKNOWN Trace we received for the customer indicates the customer subscription status is UNKNOWN. 15 SUBSCRIPTION_CHANGED_EVENT_SUBSCRIBED Customer set subscription by clicking "subscribe" link in the email. 18 LEGACY_UNSUBSCRIBED Historical value not supported anymore. 22 SUPPORT_UNKNOWN Susbcription status was changed by internal support team. 23 SUPPORT_SUBSCRIBED Susbcription status was changed by internal support team. 24 SUPPORT_UNSUBSCRIBED Susbcription status was changed by internal support team. 25 CUSTOMER_RESUBSCRIBE Customer re-subscribed on the "Unsubscribe view"
26 LEGACY_SUBSCRIBED Historical value not supported anymore. 27 LEGACY_UNKNOWN Historical value not supported anymore. 28 SUBSCRIPTION_CHANGED_EVENT_UNSUBSCRIBED Customer unsubscribe by clicking "unsubscribe" link in the email. 29 DOUBLE_OPT_IN_NON_EDRONE_UNKNOWN Customer UNKNOWN by opt-in type. 30 DOUBLE_OPT_IN_EDRONE_UNKNOWN Customer UNKNOWN by opt-in type. 31 SINGLE_OPT_IN_SUBSCRIBED Customer SUBSCRIBED by opt-in type. 32 SINGLE_OPT_IN_WITH_MESSAGE_SUBSCRIBED Customer SUBSCRIBED by opt-in type. edrone offers a mechanism to notify the e-commerce platform that customer subscription status has been changed. E-commerce platform needs to provide a HTTPS endpoint that will be automatically called upon subscription status change. The following fields are sent (POST) to e-commerce platform. event_date UTC date when the customer subscription status was changed. We can send notification on every subscription status change. This can be configured in Mission Control. To add subscription status endpoint, login to your Mission Control Panel then go to Settings and Platforms. The WISHLIST engagement allows to send e-mail to all customers awaiting certain event (e.g. customer receives notification that shoe size he is waiting for is now available). In order to use it the e-commerce platform needs to send two additional events. topic_id Topic identifier is used to match topic_observe event with topic_publish event. topic_campaign_id Campaign identifier of the observed topic. Its mapped to email design. The default setup is the same design for all wishlist topics. If you would like to create more designs please contact our support. app_id 20150609 Application identifier. Uniquely identifies an e-commerce site. It is assigned by Edrone when new account is created. It must be set on the e-commerce site - typically by configuration screen. c_id 20150609 Unique customer tracking identifier. Stored by customer browser. This field is automatically generated by edrone_2_0.js script. version 20150609 Version of the module installed on the e-commerce site. product_ids 20150609 Product identifiers for products that were viewed, added to cart or ordered. In case of Magento and Prestashop these are internal database product ids. product_titles 20150609 Name of the product: viewed, added to cart or ordered by the customer. product_images 20150609 Absolute urls to the images of the products viewed, added to cart or ordered by the customer. order_id 20150609 Unique e-commerce site identifier of the order made by the customer. base_currency 20150619 Currency in which an e-commerce site operates. In case of e-commerce sites with multiple currencies this represents the main (global) currency. order_currency 20150619 Currency in which the customer order has been made. It may be different from e-commerce site base currency. base_payment_value 20150619 Total payment value of the order completed by the customer expressed in base_currency. order_payment_value 20150619 Total payment value of the order completed by the customer expressed in the order_currency. Used when e-commerce site allows purchasing products in various currencies. product_skus 20150819 Product SKUs (stock keeping unit) for products that were viewed, added to cart or ordered. utc_time 20151113 UTC server time when snippet was generated. product_category_ids 20160307 Category identifiers for each product in the trace. Many categories per product are allowed. Multiple entries are separated by "~" for one product then pipe character | to seperate with another product. product_category_names 20160307 Category names for each product in the trace. Many categories per product are allowed. Multiple entries are separated by "~" for one product then pipe character | to seperate with another product. event_utc_date 20180315 UTC server time when event has taken. To import historical orders use our endpoint "https://api.edrone.me/trace". Is important to fill "event_utc_date" field. $edroneData = 'version=' . '1.0.0' . '&product_ids=' . join('|', $product_ids) . '&product_titles=' . join('|', $product_titles) . '&product_images=' . join('|', $product_images) . '&product_urls=' . join('|', $product_urls) . '&product_counts=' . join('|', $product_counts) . '&product_category_ids=' . join('|', $product_category_ids) . '&product_category_names=' . join('|', $product_category_names) . '&customer_tags=' . join('|', $order->customer_tags) . The "order_cancel" event allows marking orders in edrone CRM system as deleted. '&app_id=' . 'YOUR APP ID' . Tool is available in edrone panel after login(control.edrone.me). Choose from menu "Settings" -> "Integrations" -> "Trace Monitor". To start, please press button "Clear session and start collecting new data". Trace monitor is responsible for collecting information about traces which come from your store, analyzing and picking up error and warnings. First option is to change the subdomain part only, e.g 55e01cbdc61f8.edrone.me -> mystore.edrone.me. In this case we do not require additional configuration on client side, please contact our support to set it up. cId Unique user identifier. Not a real HTTP cookie but works just like First Party cookie. - Local storage variables are set independently for HTTP and HTTPS under a shop domain. This acts akin to First Party cookie. Historically it was the first mechanism used by clients. In case implementing edrone integration on test enviroment, after publishing integration to production create new edrone account and use new app_id. Iâ€™m ok with receiving newsletters (Breaking news from edrone, new fatures and brilliant stuff only).